At Nash Warren we offer our customers the very best Motor Trade Road Risk Policies available on the market. We have a wealth of experience in the motor trade insurance and policy sector and we pride ourselves on being not only competitive but also professional and able to advise you on all the latest motor policy legislation. Our customers can trust that when they take out a motor trade road risk policy with us that they are fully covered and protected against every eventuality that they may incur. When you are running a business you need peace of mind and we can offer you that. Our motor trade road risk policies are aimed at small business or businesses that require cover for moving vehicles around. 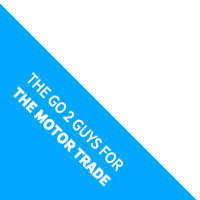 If you are a mechanic, used car salesman or even a car valeting business then you will need a motor trade road risk policy to make sure you and your livelihood are covered every step of the way. We will offer you the right type of cover for your business and will never try to convince you that you need a far larger policy than you realistically do. We are always honest with our customers about what they need to conform and you can trust Nash Warren to take care of your business. • Trade vehicles – If you buy and sell vehicles of any kind we can cover you to move those vehicles or take customers on a test drive. • Customer’s vehicles – If your business requires you to move customer’s vehicles at any time, our policy will cover you to be able to do that. • The policy will cover only named drivers so be sure to consider who needs to be on your policy. • Third party fire and theft or fully comprehensive. Choose the right level of cover for your business as getting it wrong could prove costly but choosing fully comprehensive cover with Nash Warren is not as costly as you may think. So if you are looking for a motor trade road risk policy that is tailor made for your business then choose Nash Warren. We cater for all your insurance needs and can even add in Public Liability Insurance to make sure you are completely covered from every possible angle. Our aim is to take care of our customers and their businesses for an affordable price which we won’t be beaten on!